Can an Obscure, 100-Year-Old Patent Law Take On Big Pharma? 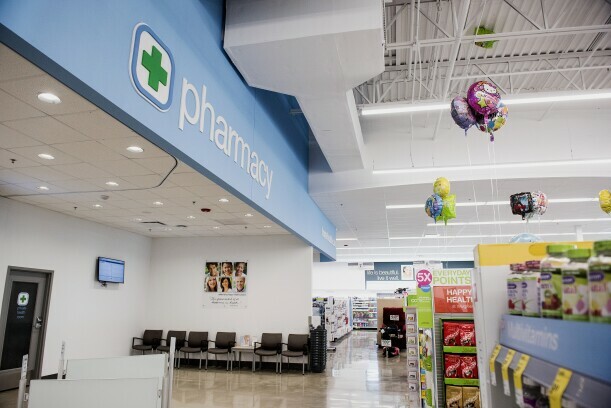 Balloons are displayed for sale near the pharmacy of a Walgreens Boots Alliance Inc. store in Elmwood Park, Illinois, U.S., on Tuesday, April 5, 2016. Proposed solutions for lowering drug prices typically hinge on sweeping transformations within the drug-supply chain, but what if there’s a more immediate solution? There is, according to Sidney Wolfe, founder of Public Citizen’s health research group. The federal government should use a century-old patent law, usually referred to as Section 1498, to overlook branded drug patents and mass-manufacture generic drugs for the greater good, Wolfe told Bloomberg Law. The law allows the government to use patented inventions without permission if it pays the patent holder a reasonable amount, which is usually around 10 percent of its sales. As prescription drug prices climb and gridlock continues in Congress, Section 1498 is starting to look more attractive for price advocates who don’t see other feasible options to immediately bring down costs, Hannah Brennan, a drug and patent lawyer at Hagens Berman Sobol Shapiro LLP in Boston, told Bloomberg Law. Brennan also co-authored a paper on the relationship between Section 1498 and pharmaceutical prices that was published in the Yale Journal of Law and Technology in 2016. The government typically uses Section 1498 to skirt patents for security devices like it did in 1997 with night-vision goggles and lead-free bullets. But even an official warning to use the law in a pharmaceutical context could bring down costs immediately, Brennan said. After all, it worked for the Bush administration, she said. In 2001, Tommy Thompson, then the secretary for the Department of Health and Human Services, threatened to use Section 1498 to create versions of the antibiotic ciprofloxacin after an anthrax scare following 9/11. The patent holder, Bayer, slashed its prices by half. “For a number of reasons this isn’t anybody’s first choice,” Joshua M. Sharfstein, a health policy and management professor at the Johns Hopkins Bloomberg School of Public Health and the former principal deputy commissioner of the Food and Drug Administration, told Bloomberg Law. Utilizing the patent law would have enormous political and strategic hurdles. Pharmaceutical companies would be able to sue the government if the company isn’t satisfied with the government’s compensation. And it’s unclear if the HHS would ever utilize this law, which is unpopular with drug companies, which say it takes away the incentive to create innovative drugs. The HHS is requesting comments on president Donald Trump’s blueprint to lower drug prices, but didn’t comment on whether it would ever consider using Section 1498 to lower drug prices. The law isn’t mentioned in the blueprint. “HHS is seeking comment from interested parties to help shape future policy development and agency action and looks forward to reviewing all feedback,” an HHS staffer told Bloomberg Law. The only times the government has used Section 1498 to create generic drugs was in the 1960s and ‘70s for military use, and “because these cases tended to settle rather than go to judgment, no case law regarding compensation in this context was created,” the Yale paper notes. For most inventions, the average settlement is 10 percent of the company’s sales on that product. But drugs can rake in billions of dollars in sales, which would be a hefty price tag for the government. The Louisiana Department of Health is reviewing public comments about using Section 1498 to create generic versions of a hepatitis C drug. It’s unclear whether the Louisiana governor will ask the HHS to invoke the law on the state’s behalf, Sharfstein, who helped draft the proposal, said.